High river sauces "tears of the sun"
#1626988 Growdown Throwdown 2019 Sri Lanka - Chilli Red! #1626675 Growdown Throwdown 2019 Sri Lanka - Chilli Red! gotta love that fox farms right? Us west coasters are fortunate to find it cheap. Great stuff! 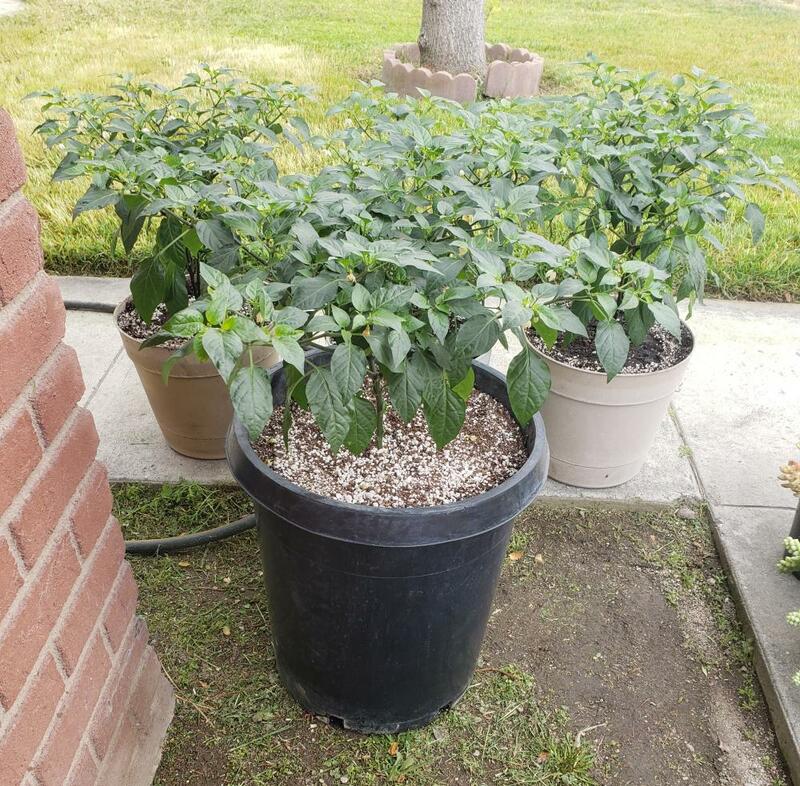 I know you said you're out of space but you can always transplant into one gallon pots (which are in reality 2.7 liters and not actually one gallon). 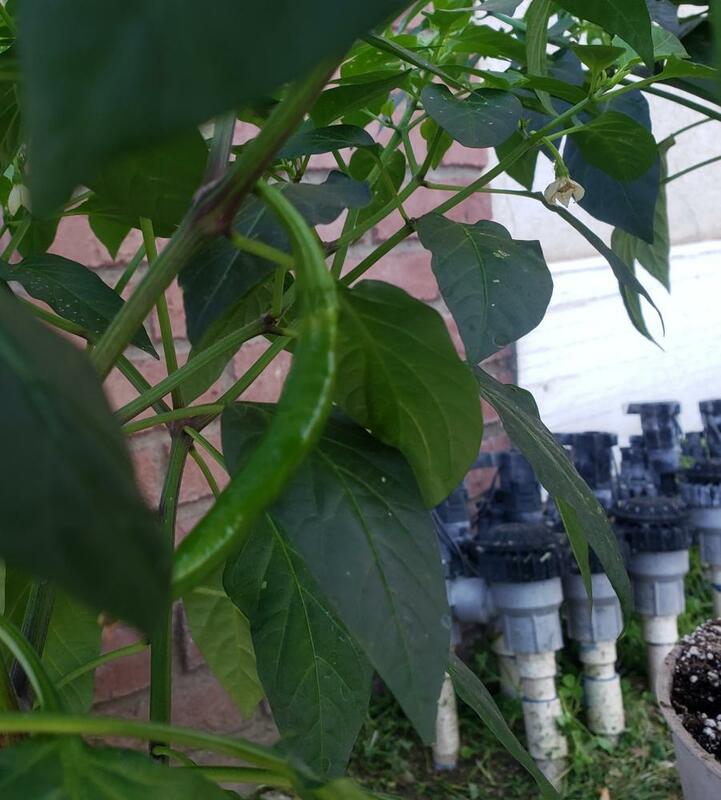 They dont take up much space indoors and peppers can stay in them for a while. Those would give you more than enough time til it's safe to plant out. #1626610 Growdown Throwdown 2019 Sri Lanka - Chilli Red! 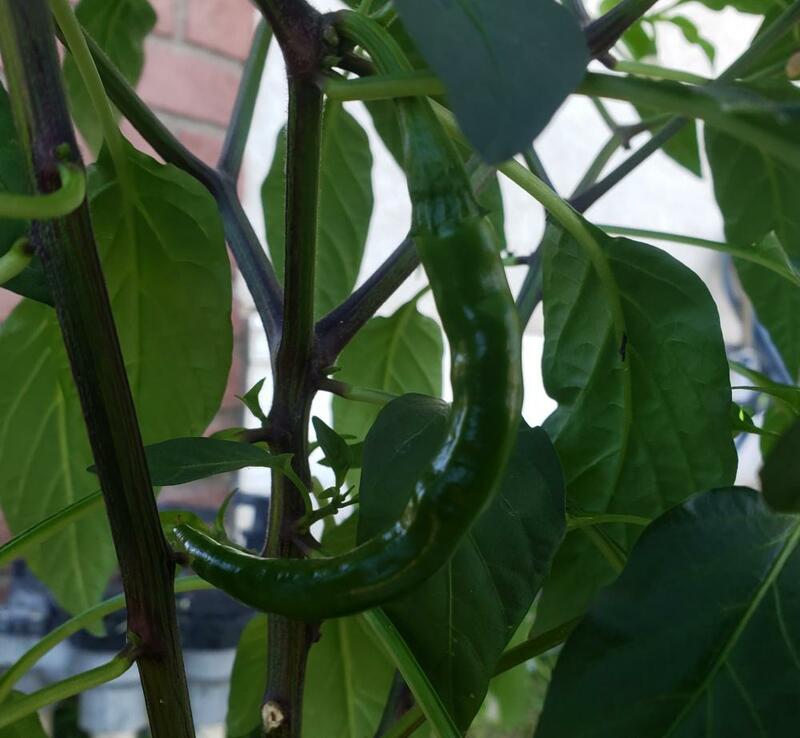 #1626554 Growdown Throwdown 2019 Sri Lanka - Chilli Red! I agree, they cant possibly look the same with cobra genes in em. #1626401 Growdown Throwdown 2019 Sri Lanka - Chilli Red! Afyer a little slow down from hardening off and repotting, the kids are starting to take off a little again. #1626352 Growdown Throwdown 2019 Sri Lanka - Chilli Red! Dropped 5 seeds today. I know its kinda late. Will see what happens. You need to ask yourself first, why the plants are starting to bloom in the first place. I've pinched plenty of flowers but from my experience, the young plants are blooming because they need a bigger pot. If you don't have space to pot up indoors then pinch the flowers. Otherwise, your plant is telling you it needs a bigger home. #1625744 Acidifying an acidic sauce? I guess I missed that point. Do you have a link for that requirement? It's not obvious to me why it would matter if the acid came from a tomatillo as opposed to a tomato or lemon, as long as it's below the magic number. This is the article I read about further acidification.https://www.healthyc...ing-tomatillos/ Scroll down to the section that addresses it. Theres a few other articles I've seen mention it too. #1625740 Acidifying an acidic sauce? If it's stable at 3.9, you should be good to go with respect to the FDA. I think the magic number for them is 4.2. If a food is naturally below that number, no further acidification is required. If you do add something for the sole purpose of lowering the pH, then it becomes an "acidified food" and opens up a whole new can of worms for registering your product with the FDA. I haven't had to deal with registering an acidified food in three or four years, so this info may be dated. If so, I'm sure someone will be along shortly to correct me. #1625735 Acidifying an acidic sauce? I'd advise citric acid to lower your pH if you're concerned about vinegar altering your flavor. You can find it online or at natural food stores. What PH should I shoot for if the ph is already 3.9? #1625720 Acidifying an acidic sauce? 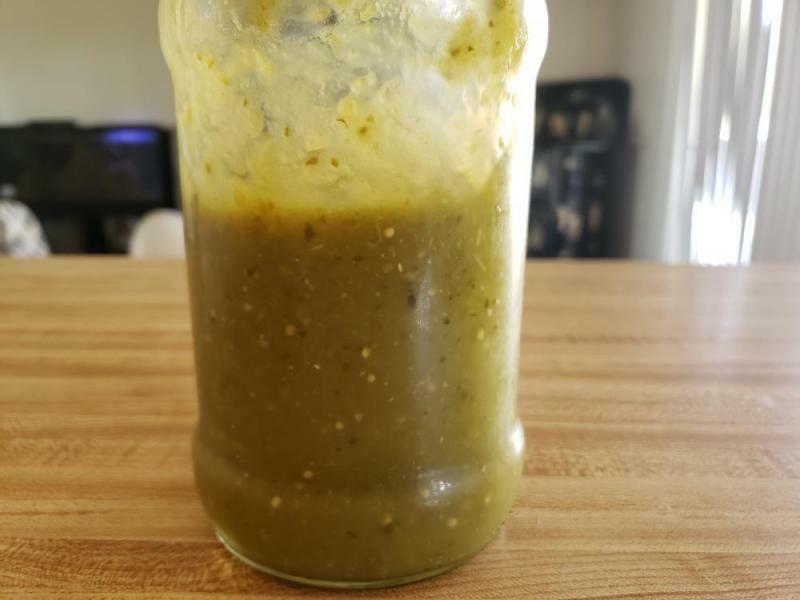 So I have this sauce that we make which consists of roughly 10 smallish tomatillo, 3 jalapenos, a couple Anaheim's, a couple pasilla, 5ish serranos, half an onion, water and a couple cloves of garlic. The ingredients are roasted, blended then heated for a short time to get the flavors to marry. The final ph at room temperature comes in at 3.9. Would seems like a good ph but I know the low ph is primarily just from the tomatillo and the USDA calls for it to be acidified further so what ph should I shoot for to make this "shelf stable"?. Just something I can use the "hot fill hold" method with and refrigerate after opening. I'm quite fond of the flavor and would like to use as little vinegar/whatever else as possible to make it safe. Thoughts? Here's a pic of the sauce.. cuz yea, I know everyone likes pictures..
#1625500 Growdown Throwdown 2019 Sri Lanka - Chilli Red! I'm Seeing at very least, two flowers per node! Yes? Anyone getting more per node? Some of mine had a couple blooms per node in the early stages but now only have 1 per node. I grew a bunch of rainforest tricolor plants last year that looked exactly like that. Any blooms on it yet that you can take a picture of?